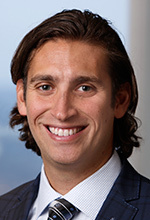 Brian L. Brodsky has joined Jaffe Raitt Heuer & Weiss PC as an associate in the Soutfield-based firm’s corporate practice group and privacy, data breach & data security practice group. Brodsky, of West Bloomfield, will focus on the area of general corporate law, mergers & acquisitions, securities, and finance. Previously, Brodsky worked for PricewaterhouseCoopers out of New York, through which he became a Certified Public Accountant. Brodsky earned his Bachelor of Business Administration at the Stephen M. Ross School of Business at the University of Michigan. After earning his CPA, he returned to the University of Michigan to earn a joint degree—obtaining his Master of Business Administration and his juris doctor from the University of Michigan Law School.